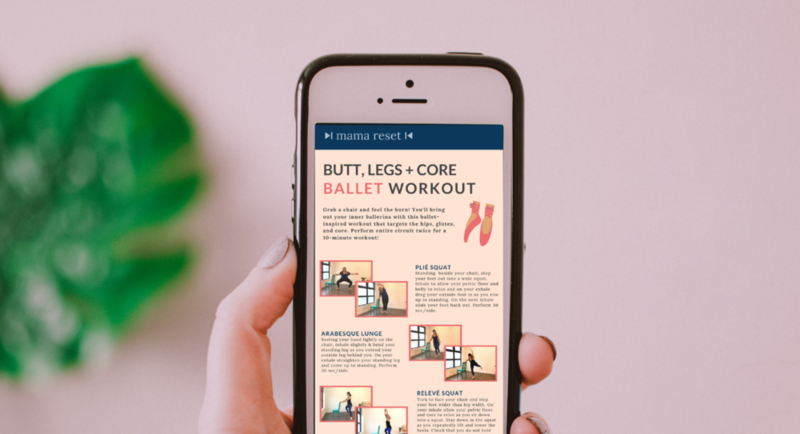 click here to get your 10-Minute Ballet Home Workout! We know you don’t need another impossible workout program. You need small, do-able workouts you can fit in your real #momlife. Get 20 workout videos & PDFs with 365 days of unlimited access + online and email support. 10 minutes to build muscle. 10 minutes to boost your spirits. 10 minutes to feel the burn. 10 minutes to find your flow. 10 minutes to connect to your core. 10 MINUTES A DAY WORKS. IF YOU KNOW HOW TO WORK IT.